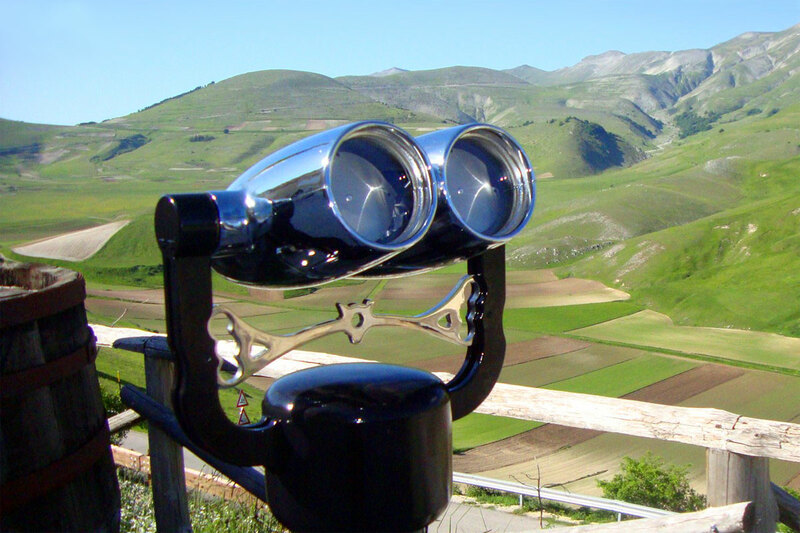 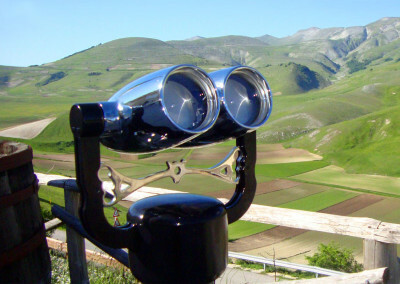 Now it is available in Castelluccio di Norcia a Panoramic Naturalistic telescope. 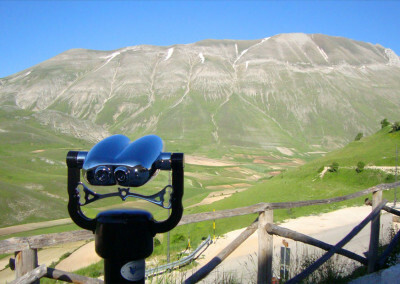 In the Farmahouse “La Valle delle Aquile” you can see the fantastic view in detail, a unique experience to enjoy the beauty of our mountains. 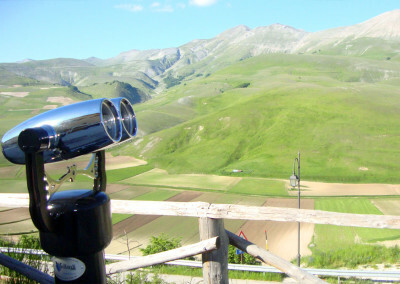 The telescope visual ray goes from Monte Lieto to Vettore, you will enjoy to the smallest detail of peaks such as Monte Prata, Monte Argentella, enchanting places like Palazzo Borghese and Forca Viola as well as, logically, the up and down hills and the Pian Perduto . 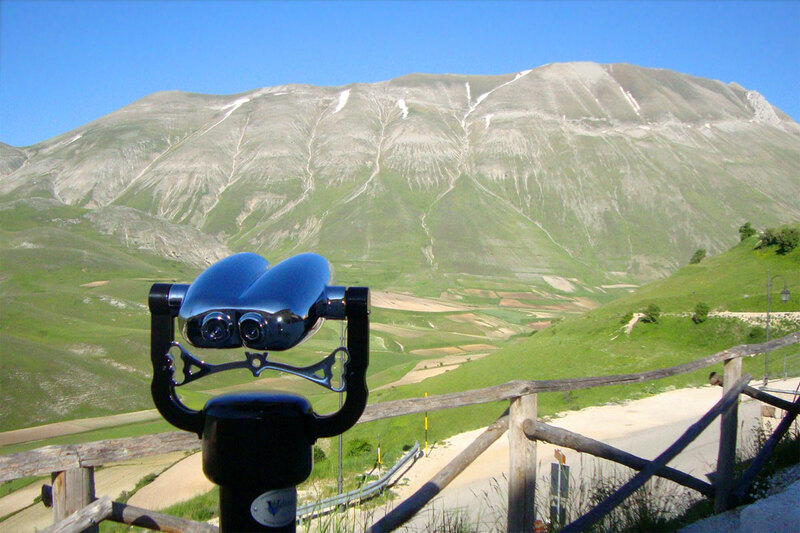 At certain times you can watch the flowering of Pian Perduto flower to flower, the lucky ones will be hitting the majestic flight of the Eagles of the Sibillini Mountains National Park, or the gifts Poiane and Falchetti. 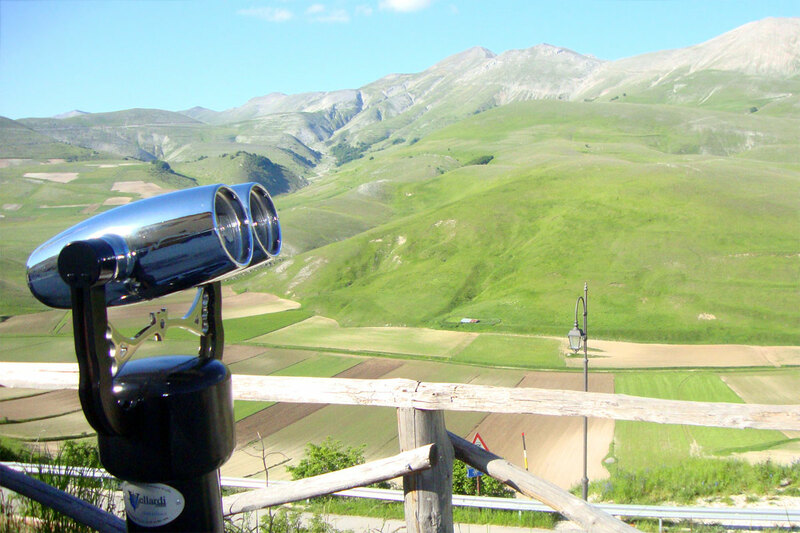 The Naturalistic Panoramic Telescope for your excursions with the eyes. 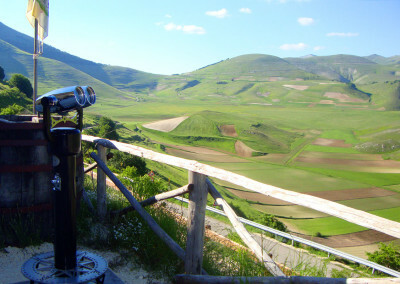 From the telescope you can also see a lot of hiking trails, is a great way to find out before the trails or control groups and / or individuals in excursion.